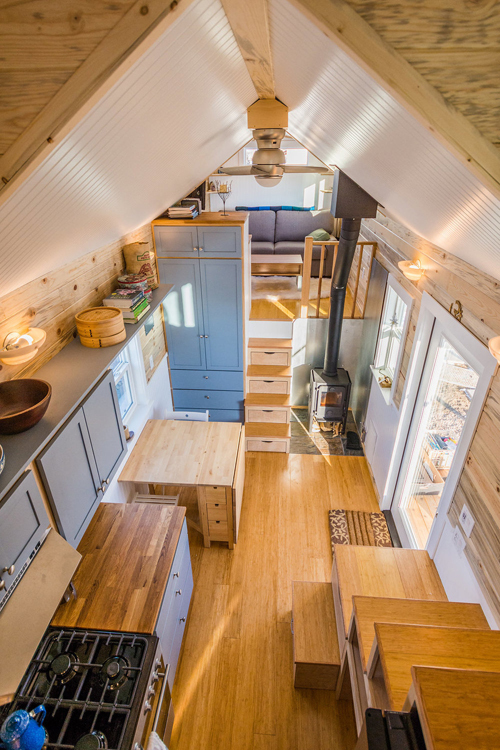 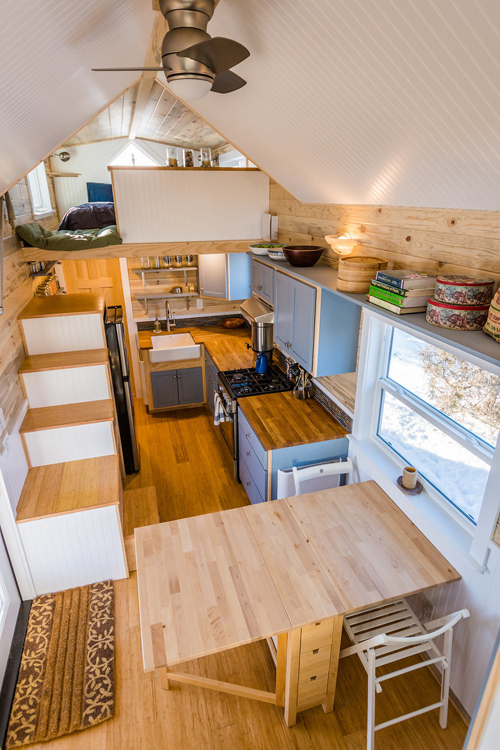 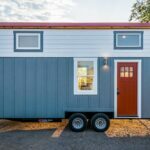 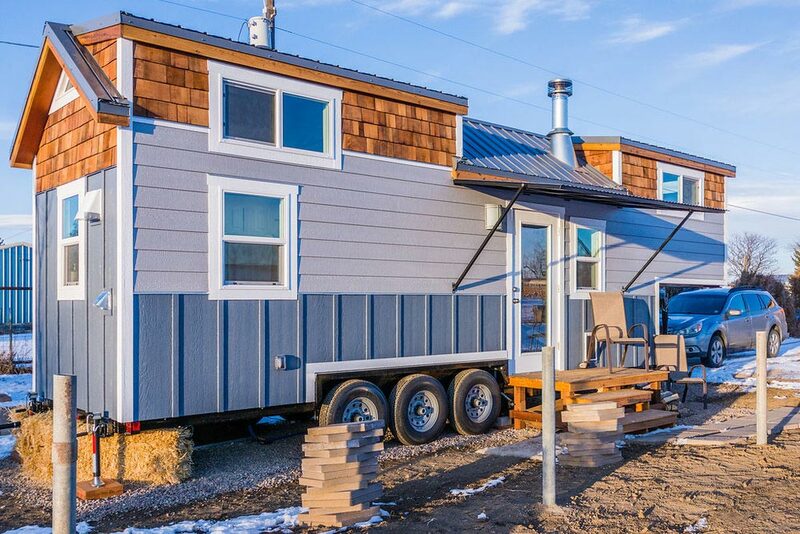 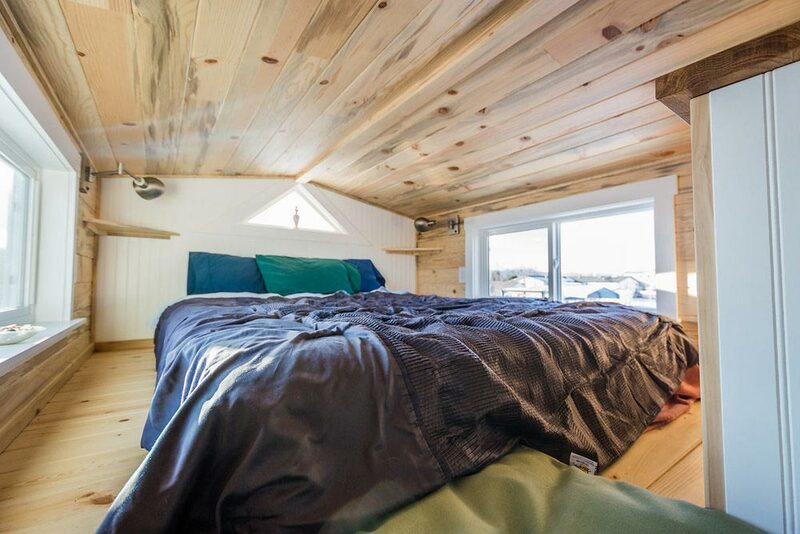 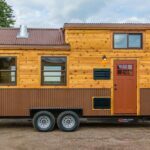 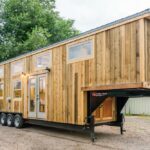 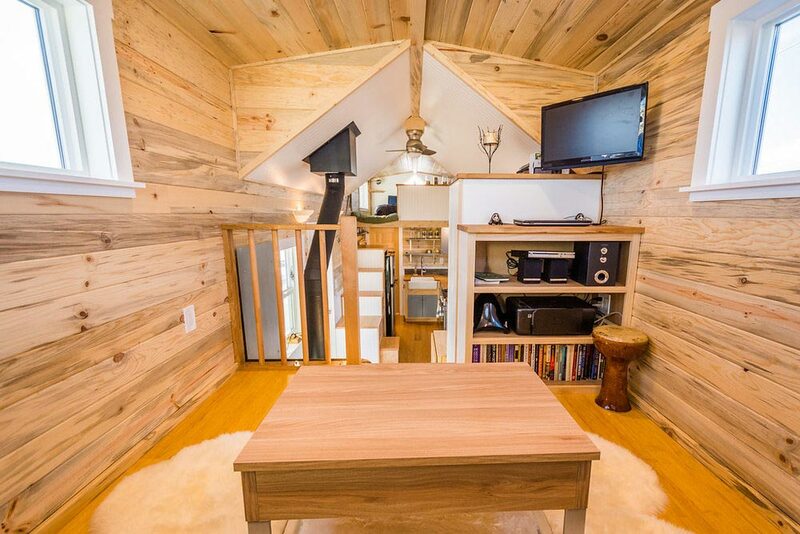 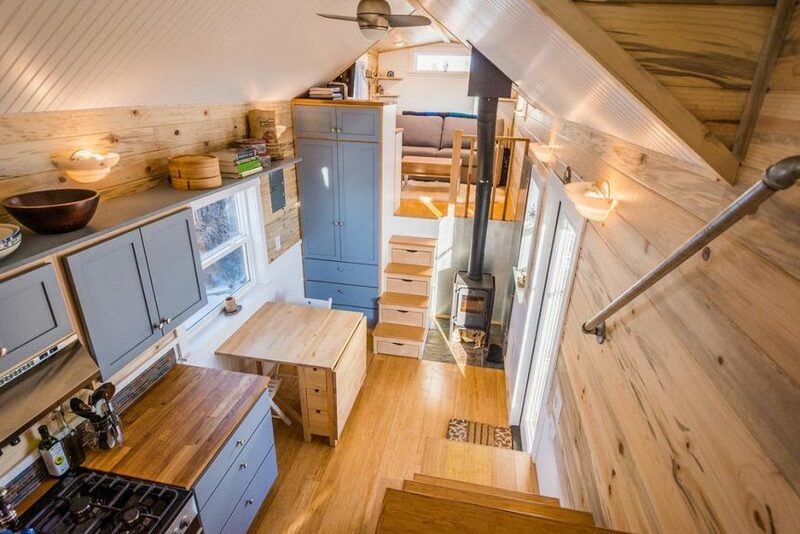 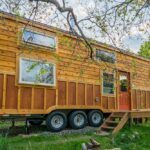 Built by Mitchcraft Tiny Homes for their client, Tara, this 33-foot gooseneck tiny house offers a modern style with farmhouse style accents. 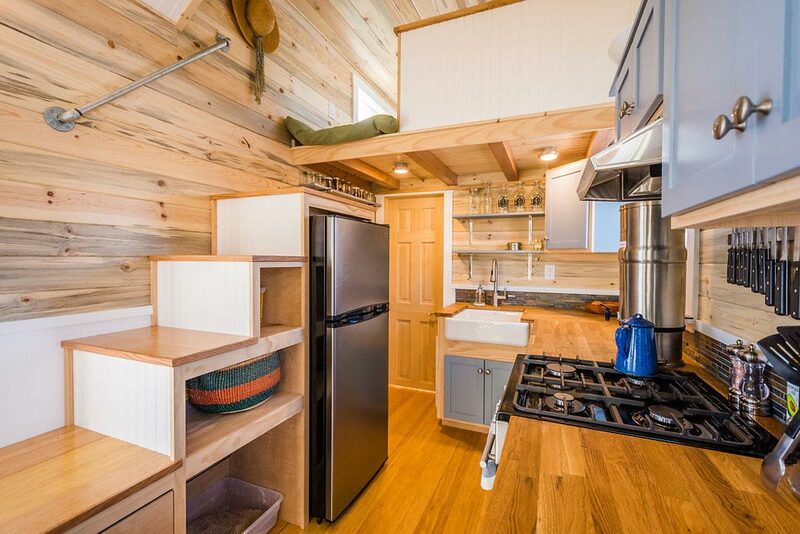 The living room sits over the gooseneck, providing enough headroom to stand. 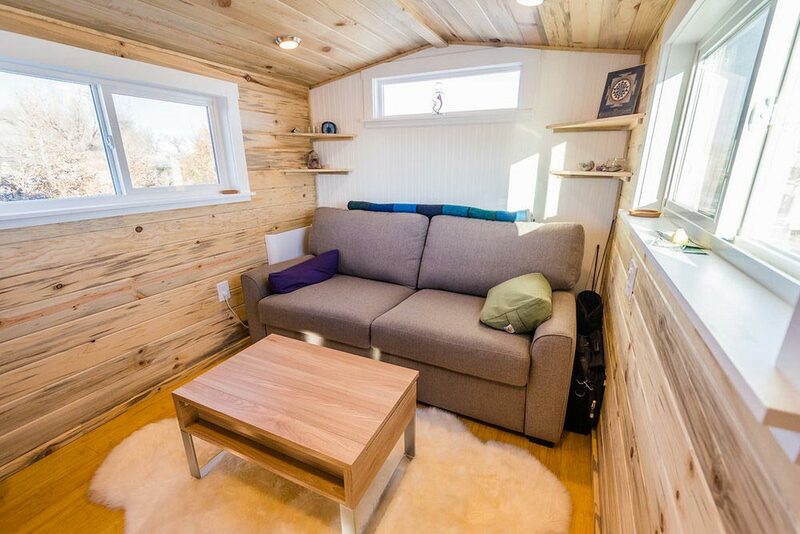 In the living room is a pull out sleeper sofa and entertainment center. 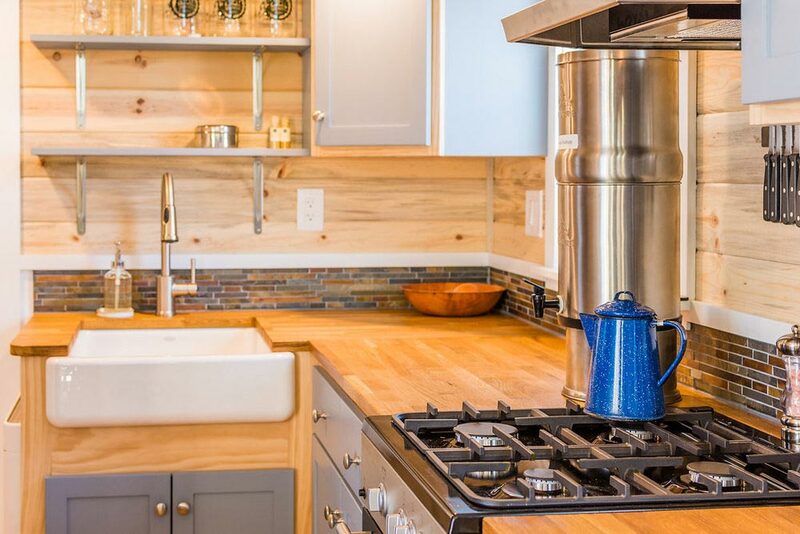 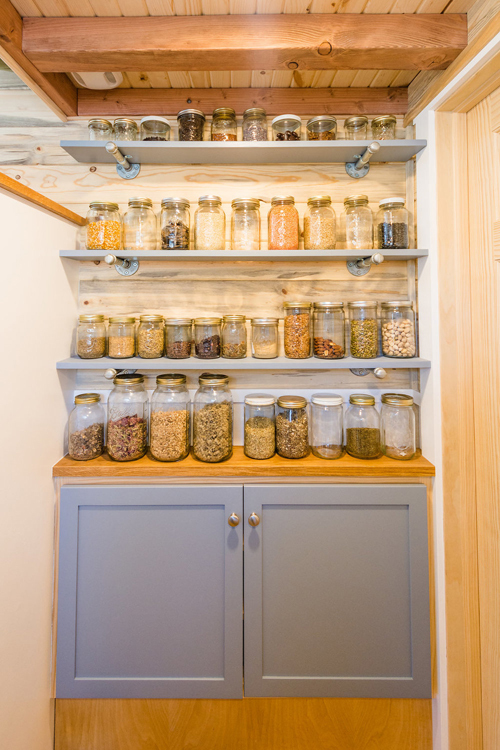 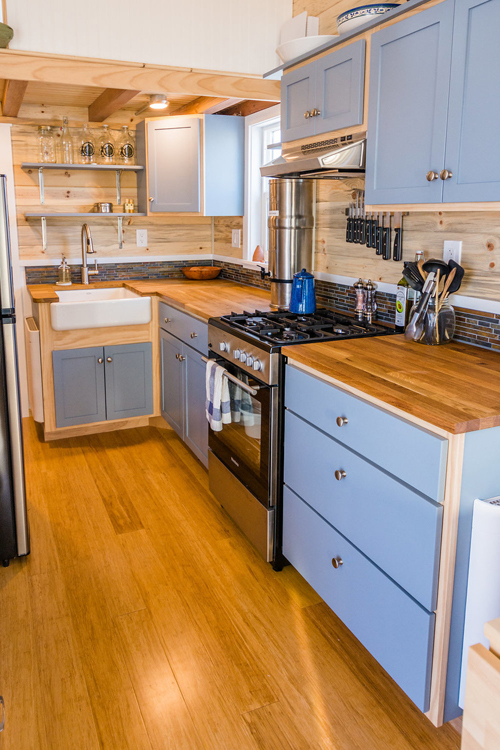 The spacious L-shaped kitchen has plentiful counter space and storage, a rustic farmhouse sink, four burner gas range, and a dining area that can expand to accommodate 4+ people. 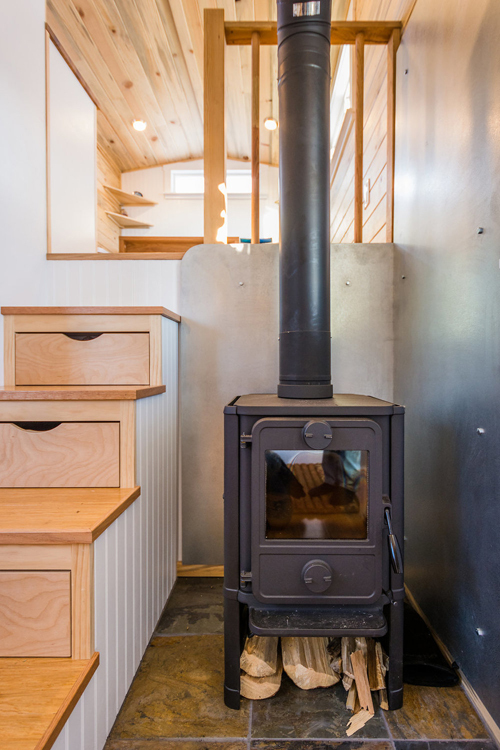 A cast iron convection wood stove keeps the home warm and cozy. 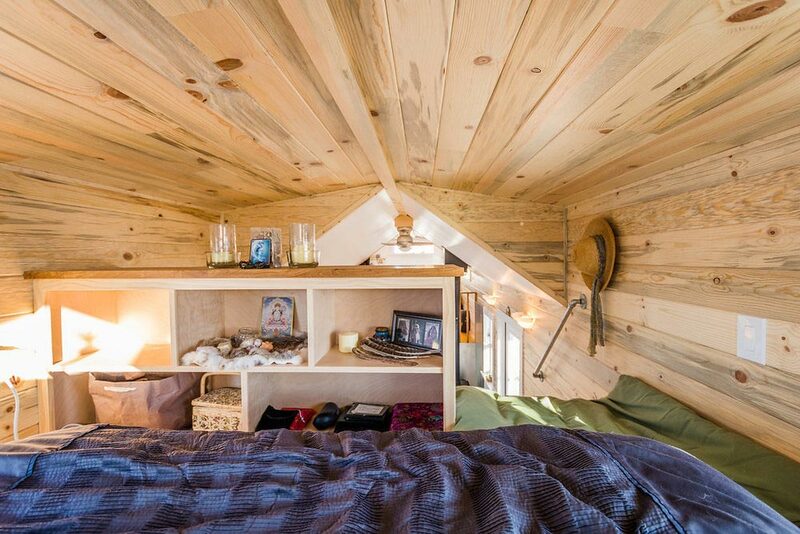 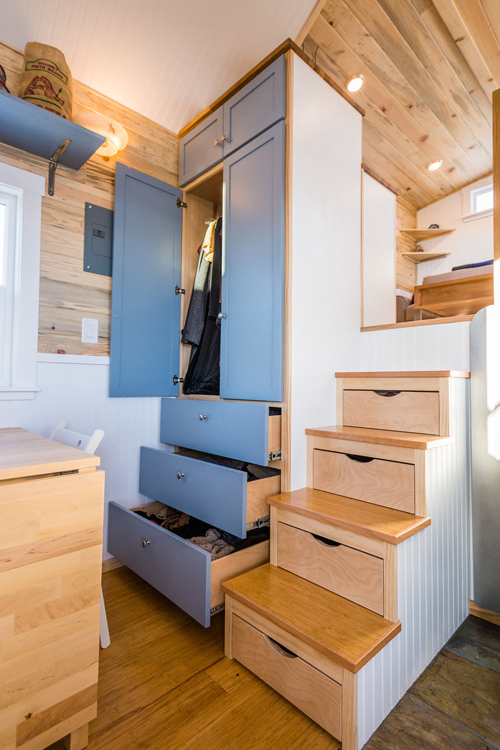 Storage stairs lead up to the bedroom loft, which has double dormers and built-in storage space. 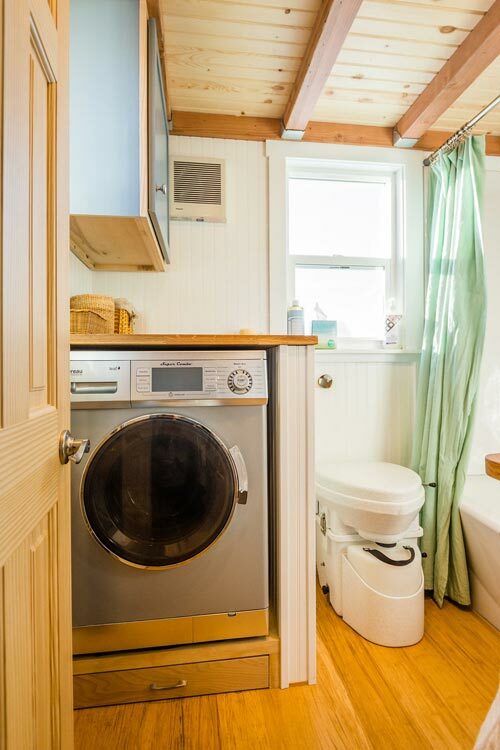 There is also a closet and drawers on the main floor for clothing storage. 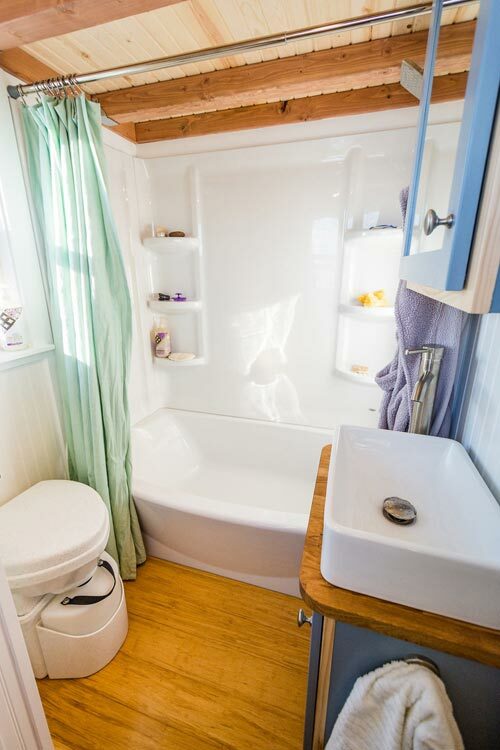 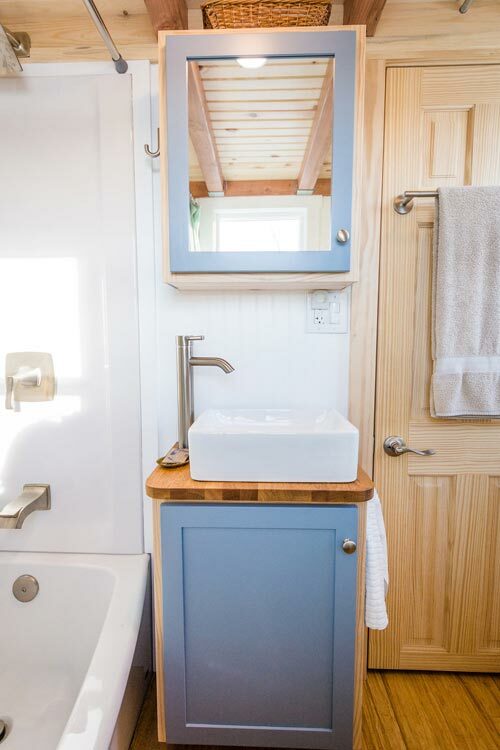 In the bathroom is a full size bathtub, washer/dryer combo, vanity with vessel sink, and composting toilet. 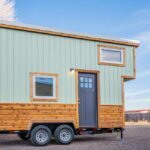 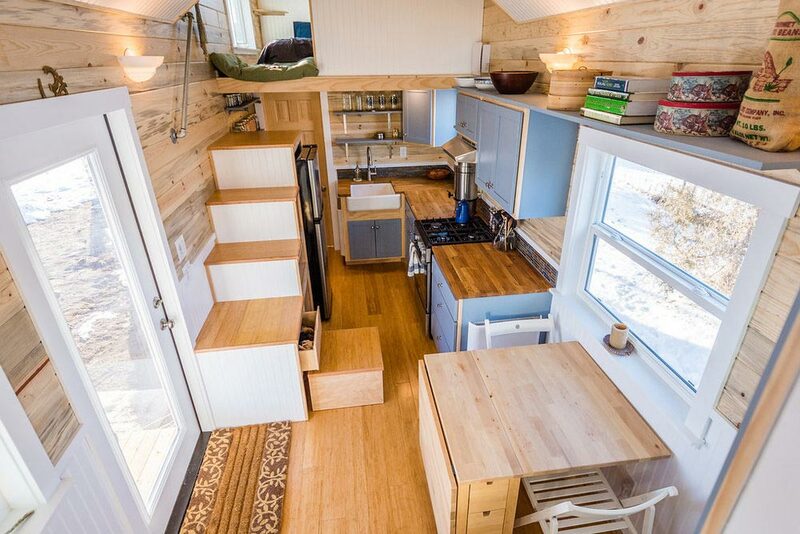 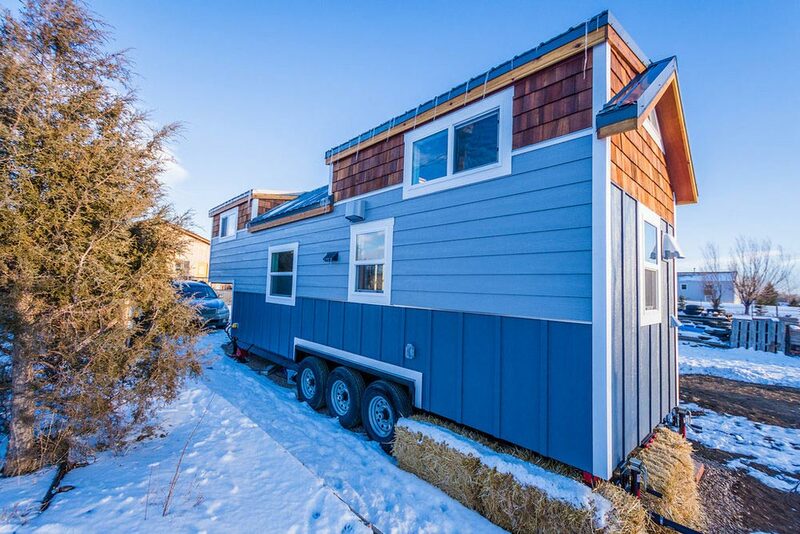 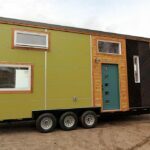 For more information about Tara’s 33′ Gooseneck Tiny House, please contact Mitchcraft Tiny Homes.